This list has been updated for 2017, complete with new standalone smartwatch models. Smartwatches can pair with your phone to deliver notifications, alerts and messages on your wrist. So, if you’re wearing a smartwatch, you can keep your phone in your pocket, on a counter, or where you decide to. But, as good as that setup is, you still need to have a smartphone. Worse yet, if your smartwatch and phone are not near each other you lose functionality on the watch. That’s no fun and it ruins the point of having “smart” devices. There is a solution. You can buy a standalone smartwatch and bypass the smartphone requirement. What Is a Standalone Smartwatch? A standalone smartwatch includes all the functionality of a smartphone built-in. Generally, they connect to 3G or 4G mobile networks and take a SIM card. Standalone devices will connect to a network and update messages, alerts and notifications on their own. In this way, you are not forced to use a smartphone with them if you do not want to. Many standalone watches can make and receive calls, just like a phone. They can also be used to browse the web, though the small display is not convenient for such a thing – but it’s still possible. Standalone smartwatch models often provide the best of both worlds, and will work with a paired phone too. So, what are some standalone smartwatch models on the market? What are your options, and which devices allow you to take advantage of this functionality? Below is a list of the best standalone smartwatch models currently available. Samsung swapped their design to a round display with the Gear S2 models, and it looks fantastic. The Samsung Gear S2 Classic is the premier model, and it comes in 3G and 4G flavors. It’s a bit dated now compared to some of the other devices hitting the market, but it’s still a decent watch. Note: Depending on your wireless provider, you may – or may not – have to set up the device initially with a smartphone. After that, you’re free to use the watch on its own. Samsung’s devices are powered by Tizen, a proprietary OS developed by the company. This is worth noting, because you won’t be getting Android Wear. In the past, this was an issue because it meant Samsung’s watches were only compatible with Samsung brand phones. Now this is not so much the case. And if you’re planning to use the watch as a standalone device, that doesn’t matter anyway. The Gear S2 Classic is equipped with 4GB of RAM (as opposed to the 1-2GB standard), a GPS sensor, and a microphone and speaker for voice calls. You can also text using the watch, although we wouldn’t recommend it because the screen is pretty small and inconvenient for such a thing. If you’re interested, the Gear S2 Classic is now $249 to $300 and the models with 3G/4G support can be ordered from most wireless carriers. The Samsung Gear S was the company’s first foray in the standalone market, and it mirrors their other smartwatches in the Gear lineup. The biggest difference is the 2G and 3G mobile network support thanks to an integrated SIM card slot. It also includes GPS, Wi-Fi 802.11 and Bluetooth 4.1 wireless connectivity. As for the system software, the Gear S is running Tizen Samsung’s proprietary wearable OS. Those features are great, but they don’t give you a complete picture of the device in question. 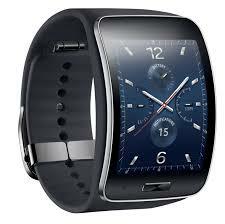 The Samsung Gear S is powered by a dual core 1.0 GHz processor, 512MB of RAM and includes 4GB of internal storage. The display is a 2.0″ curved Super AMOLED running at a resolution of 360 x 480. Needless to say the display alone is attractive and vivid, it does come from Samsung after all. You can take calls, send texts and emails, and even browse the web all from your wrist. This is a full-featured smartphone crammed into a wearable device. It also offers a whole slew of fitness tracking features, which is honestly something you can expect from most smartwatches. If you decide you want the Gear S take a look at the options below from Amazon. UPDATE: As several have pointed out you need a smartphone to pair the Gear S with initially. Once that’s done – and you have installed the apps you want – you don’t need a smartphone any longer which is why it’s on the “standalone” list. It is possible to have your carrier activate the device the first time if you want to use it solely as a smartphone. 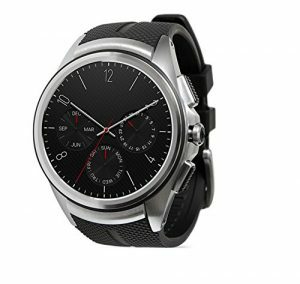 The LG Watch Urbane 2nd Edition released since we published this article. It’s designed to offer tether-free – without a smartphone – access to mobile networks. The Urbane LTE uses AT&T’s NumberSync technology to redirect phone calls and texts from your existing phone number to the watch. Because it is a sister model to the original Urbane, it includes the same basic features and specifications – albeit with a few upgrades for the 2nd Edition. The rest is pretty much the same, including the experience – because it’s powered by Google’s Android Wear. You can pick it up from wireless carriers for $349.99 to $399.99. If you’d rather buy an unlocked model you can find one for $400-$575 on Amazon. 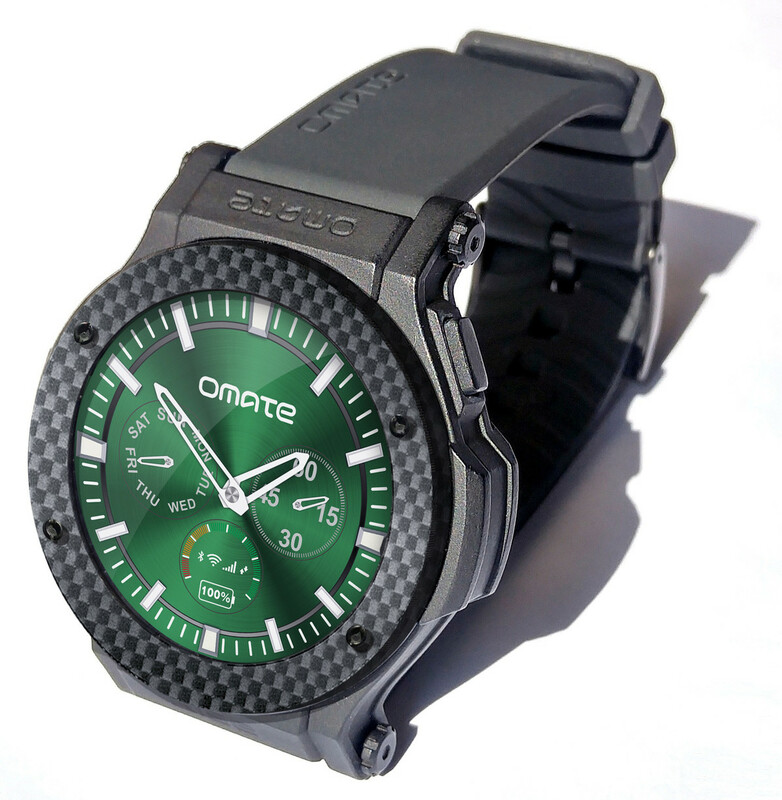 The Omate Rise is a follow-up to the company’s original models. They have several other models available, including one designed for females. We chose the Rise because it has 3G connectivity, which means you can ditch your phone and use the watch solo. It’s powered by Android 5.1 Lollipop and has a custom UI, called OUI 4.0. It’s compatible with both Android and iOS phones, and can do a ton of “smart” things. Like display notifications, make and take calls, conduct voice searches, read and reply to messages and more. 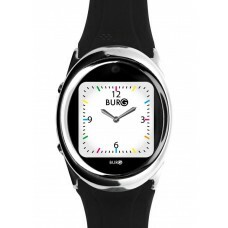 What really makes it stand out, however, is that it’s one of the first watches to include support for Amazon’s Alexa – the same voice assistant from Amazon’s Echo products. 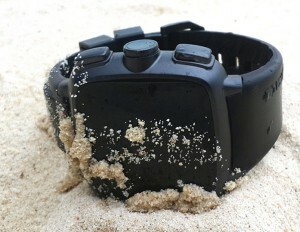 That means you can deliver voice commands and talk to the watch to carry out actions. Pretty cool, right? The Omate Rise is a bit on the pricey side, at $399. Unlike Android Wear devices, the Neptune Pine is running a full, unhindered version of the Android OS version 4.1 Jelly Bean. It features a 2.4″ TFT capacitive landscape oriented display operating at a resolution of 320×240 QVGA. In case you have no idea what that means, it’s a massive display for any wearable – it’s like wearing a mini tablet on your wrist. The screen is protected by Corning Gorilla Glass so it’s scratch and shatter resistant. It works with GSM, HSPA and WCDMA networks on several bands which is 3G for those less tech-inclined folk. It also includes integrated Wi-Fi, GPS and Bluetooth like the Gear S. However, the Neptune Pine is considerably more powerful thanks to the Qualcomm Snapdragon S4 dual-core processor at 1.2GHz and 512MB of RAM. It was a Kickstarter funded project and the backers have already received their devices. The first models shipped to backers in November, 2014. The Neptune Pine starts at $349. It can be more expensive depending on which features and options you select at checkout. The developers crammed everything they could into the InWatch Z including a 5MP camera that can capture high-quality stills and 720p HD video. It might be a little awkward trying to capture photos and videos from your wrist, but at least the option is there if you want it. But what you’re really looking for is the multi-network support. It comes unlocked and takes SIM cards so that it can tap into any mobile 3G network. There’s Wi-Fi, Bluetooth, and GPS too. A dedicated 2D and 3D processor (MALI-400MP) allows the watch to handle games, videos, and more – something that most smartwatches would have trouble doing. It’s even equipped with a “hydrophobic nanocoating” which means it’s splash-proof. Now, you don’t want to take it swimming – or in the shower – but it can certainly handle rain and sweat without any hiccups. You can head over to the inWatch site for more info. Now, you can pick up one of these for about $175 to $200. Then there’s the Neptune Hub, which is a different device altogether, but it can be used as a standalone watch. There are two separate components to the Hub, including a wristwatch and a phone-like device you keep in your pocket. If you’d like to read more check out our write-up. For whatever reason, this section is for deprecated watches we no longer recommend but at one time did. The Burg 12 allows you to send texts and make phone calls without pairing to a smartphone. 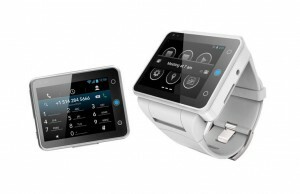 This smartwatch has a 1.5 inch screen with a 240 x 240 resolution that produces 226 pixels per inch. The Burg 12 also comes with 4GB storage and a MicroSD reader, so you can add up to 16GB to your storage. The watch runs on its own propriety software — so not exactly a great sign. You can still buy the Burg 12 from the official site for about $250, but it’s outdated by now. You can still get your hands on a QOne, but they are dated now. There’s nothing wrong with them other than that – that we know of. The QOne is a standalone cellular-ready watch primarily designed with the business professional in mind. Although, admittedly the initial designs are a little flashy for most business-minded folk thanks to the neon colors. It’s a GSM (850/900/1800/1900MHz) friendly phone that allows you to plug-in a SIM and connect directly to a mobile network. 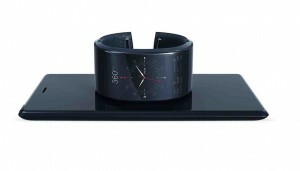 Similar to the Samsung Gear S you can receive texts, emails, phone calls and more on the device. It’s a wearable smartphone. It includes a 1.54″ LCD touchscreen display with a resolution of 240×240. You can purchase the device with either 8, 16 or 32GB of storage which is offered through an external microSD card. The device itself only has minimal storage space for the system software. Keep in mind this is using a proprietary OS, so it doesn’t come with Android Wear or anything advanced out of the box. The QOne standalone smartwatch is available for $149, which as you can see is significantly cheaper than some of the other offerings on this list. There’s nothing wrong with the TrueSmart, but Omate has released several new models – which were added to the list. So, the older watch might be tough to find now. The Omate TrueSmart isn’t one of the best looking options on the market, but it is one of the most functional. It’s a shame, that it’s going to be difficult to find. You might have to buy a used model, because it doesn’t look like Omate is offering new units on their webstore. 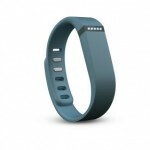 It also happens to be more affordable than the other options on the list – it originally retailed for about $249 – $299. By now, you can get your hands on one for much cheaper. 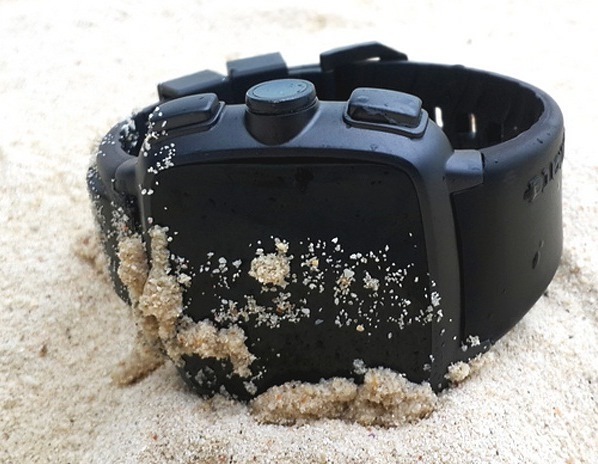 Omate has since moved on to release their latest device the X smartwatch, which actually takes a step backwards and works as a companion device. Therefore, if you’re looking for 3G support you’ll need to get the TrueSmart. It works with WCDMA, GSM, EDGE and HSPA networks and includes Wi-Fi, GPS and Bluetooth, as well. It’s powered by a Cortex A7 dual-core processor, and 1GB of RAM. It include 8GB of storage space too. The display is a 1.54″ capacitive LCD touchscreen operating at a resolution of 240×240. As for the software it’s running on a custom skinned version of Android 4.2.2 which the developers have dubbed OUI (version 2.1). This was another crowdsourced device, funded through Kickstarter. This is another watch that might be tough to get your hands on now. 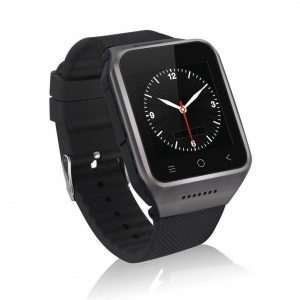 The ZGPAX S8 is a generic smartwatch manufactured in China. 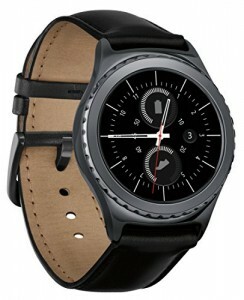 The design looks remarkably similar to the original Samsung Gear models. It includes a 2MP camera, 512MB of RAM, 4GB of storage, and support for a microSD card up to 32GB – so you can add more storage space for photos, videos and media. The display is a 1.54” “multi-point” touchscreen manufactured by LG. What you really care about is the mobile support. It’s compatible with GSM and WCDMA 3G networks, and obviously takes a SIM card. It does include a mic and speaker so you can make – and take – calls from the watch. It can also send and receive SMS and MMS messages, as well. The ZGPAX S8 is $115 on Amazon, and comes in three different styles. Have you had a personal experience – good or bad – with any of the standalone smartwatch models listed? Please share, especially if it benefits the community.